Edco has changed the cork material (that was previously used in both the original “Harris” Solitude and the redesigned Edco Solitude fly reel) to a much stronger, longer lasting cork material that is specifically designed as a friction material. The capacity for this cork to withstand heat build up far exceeds the limits of the former cork used. This new cork does not compress under stress which allows for the drag to remain constant even during heavy compression and subsequent release of drag pressure. The net effect of this cork is a drag system that will far out last the previous system and perform more consistently during its life. Edco’s Solitude reel comes in 4 sizes (from trout to salwater) and 3 finishes (including pewter, gold and black). It is available in both a standard and large arbor spool design. (The large arbor Solitude V is what John Nagy uses on his Noodle Fly Rod). 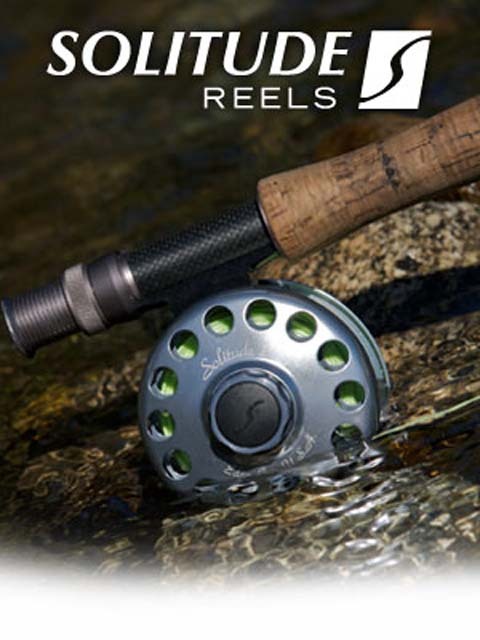 If interested in ordering a Solitude fly reel (or John Nagy Noodle Fly Rod) please contact John Nagy at steelheadguide@hotmail.com or (412) 531-5819.